Do you suffer from sleeping insomnia? A variety of studies have demonstrated that the prevalence of sleeping insomnia on a world wide basis for adults, ranges from between 10% to 60% of the population. This condition is characterised by a difficulty in falling asleep and/or a difficulty in staying asleep, you can also wake up too early and not be able to fall asleep again. Most of us need seven to eight hours of sleep each night, however just missing one or two nights sleep doesn’t make you an insomniac. It’s not unusual for many adults to suffer from poor quality sleep at some point in their lives, brought on by stress or a traumatic event, and usually resolving within a few weeks. Chronic sleeping insomnia however, can last for months or years and can be a very debilitating condition. Poor quality sleep is said to be more common in remote workers, shift workers, older adults, and in women and people who suffer from depression (although some studies say that depression causes insomnia and others that insomnia causes depression!). 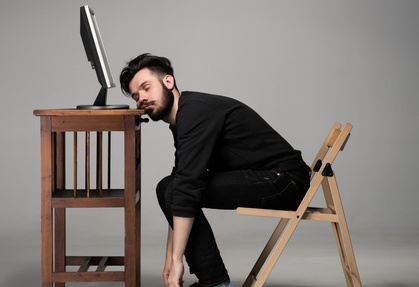 Some of the consequences of chronic sleep insomnia are quite significant and include impaired work performance, work related accidents, car accidents and depression. So what are the signs of sleeping insomnia and what can you do about it? 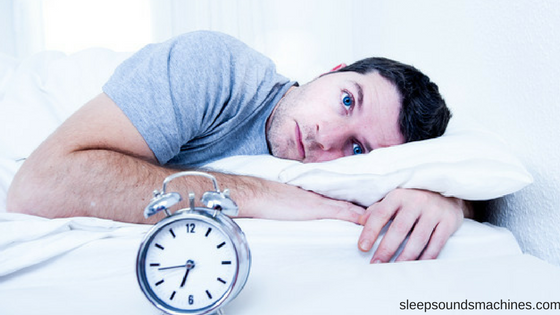 Short term (acute) insomnia: This can occur for a variety of reasons and usually doesn’t last for more than three months in total time, before you return to a more normal and healthy sleep pattern. Chronic insomnia: This type of sleep insomnia lasts for longer than three months and occurs at least three times per week. Chronic sleeping problems can be due to a number of medical conditions, medications and to illicit drug use. Primary insomnia: This is defined as poor quality sleep that isn’t associated with any other health or medical conditions. Secondary (co-morbid) insomnia: This is defined as poor quality sleep that is associated with other health or medical conditions (such as depression, heart burn or medications). Onset insomnia: Occurs when people have problems falling asleep. Maintenance insomnia: Occurs when people have trouble staying asleep. There are a variety of common causes for insomnia including stress (work, school, divorce, job loss or a death in the family) shift workers, poor sleep habits, remote workers and eating too much late at night. Mental health conditions, medical conditions, restless legs syndrome, medications, cigarettes, alcohol and caffeine can all interrupt your sleeping patterns and result in chronic sleeping problems. Aging is also associated with poor quality sleep, due to changes in your sleeping patterns as you age, as well as reduced physical exercise, poor health and certain types of medications. Of course, a snorer can cause extremely poor quality sleep in their partner and pregnant women quite often have poor quality sleep during their pregnancies. Fatal Familial Insomnia is worth mentioning here, as its a rare genetic condition that leaves sufferers in a permanent state of mental confusion due to an inability to sleep at all. Death is the final conclusion of this terrible disease. If your insomnia is due to a medical condition, then once that has been treated, your insomnia should hopefully be fixed as well. The first port of call for treating your insomnia is nailing down the cause, which is sometimes easier said than done! Sometimes counselling or group therapy sessions are found helpful in treating the underlying causes of insomnia, as well as antidepressants, sleeping tablets and melatonin. Other treatments include creating better sleeping habits, using relaxation techniques, sleep sound machines, foam mattress toppers, humidifiers and hypnosis. Your health specialist can refer you to a sleep specialist centre where they will perform sleep studies to confirm a diagnosis of sleep insomnia. This might or might not be necessary, but your health professional will help you to make the right decision for your situation. In general, for a diagnosis of insomnia to be given, your sleeplessness needs to have lasted for longer than one month and negatively impact your waking life. Twitchy legs keeping you awake?